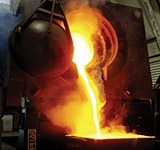 Pillar’s Induction Melting Division has a long history of supplying induction melting systems for a variety of applications throughout the foundry industry. We pride ourselves on supplying the most reliable, durable and efficient equipment available to the industry today. 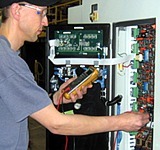 Each system is tailored to meet a specific industry need. 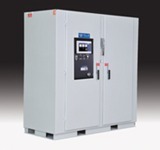 Our product offering includes small systems, designed to melt and pour multiple alloys and high powered systems developed for large scale melting processing. 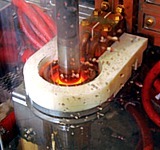 If you are looking for innovative solutions to match your production needs, look no further than Pillar Induction. Our experienced staff will work with you to provide the most cost effective and productive induction melting system available.